Pallet support bars span across the frames supported at each end by the beam. It is designed to have its top surface approximately flush with the beams. 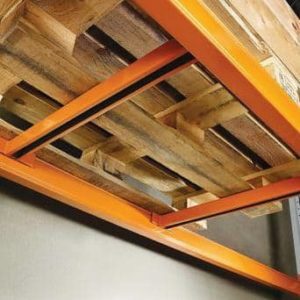 They can be used as a secondary support member for pallets or shelving. Not suitable for use with step and open beams.